The Law of Attraction is a powerful force. You can harness this power to attract what you want! Your soul mate is out there. You may feel unhappy and lonely. Do not despair. There are many people out there who feel unwanted, unloved, and hopeless. Know that you’re worthy of love and wanted. Focus on what you want in a partner. It will bring you all the happiness love has to offer. It’s especially potent when you love yourself. The Law of Attraction is a real force based on research, experience, belief, energy, and love. Its basis is that your life is the manifestation of your thoughts. It flows where you invest your energy. 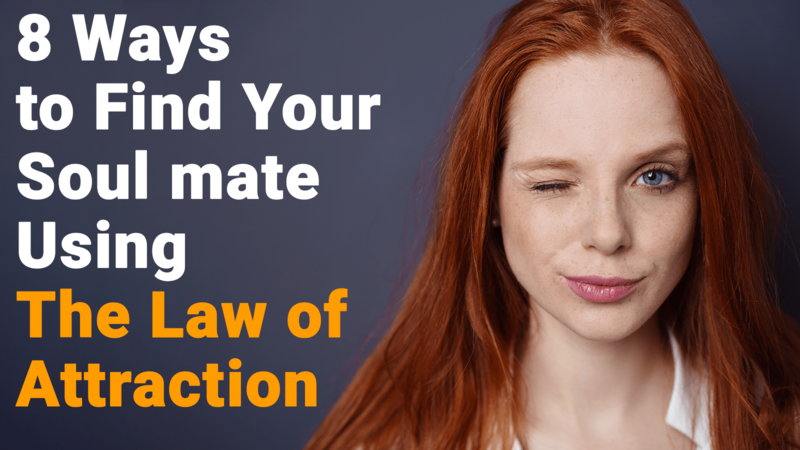 Knowing more will help you learn how to find your soul mate using the Law of Attraction. Credible professionals across the globe believe that using the Law of Attraction will help you find your soul mate. The science behind it involves quantum physics, the Double Slit Theory, and the Observer Effect. Albert Einstein was one of the first scientists to discover that everything is made of vibrating energy. Bob Proctor is an expert in the field. He’s Founder of the Proctor Gallagher Institute. He teaches the theories behind the Law of Attraction. The Double Slit Theory studied the influence we have on electrons. It was practiced by scientist Thomas Young in 1801. This led to the discovery of the Observer Effect. It proved that electrons behave differently while being observed. The evidence presented scientists with the reality that our thoughts directly influence the world around us. Holistic health expert Mica Akullian M.S. is a counselor from San Francisco. He teaches that humans create their own experiences. That’s the principle of the Law of Attraction. It can be applied to all aspects of life and love. Follow these steps to watch your love life transform. Loving yourself is the first step to attract your soul mate. It can be difficult to do so when you feel down. Try to think of one thing you love about yourself each day. It may seem like an obligation at first. However, it will make a difference in your life. People are naturally attracted to confidence. It will also allow you to give perfect love to another. Take time to think about the type of person you want to spend your life with. Picture everything about them. Focus on how they look, talk, smell, and think about their personality. Imagine meeting this person. Experience it fully. Imagine it like you’re there. Your mind won’t know the difference. It can be difficult to feel grateful when you feel like nothing goes your way. It’s alright. However, an attitude filled with gratitude vibrates on high levels. Write something you’re grateful for each day. Put it in a jar. At the end of the week, you can open it and realize everything you have to be thankful for. Practice this to attract more positive things into your world. It isn’t your job to worry about how your soul mate will enter your life. The Law of Attraction makes it happen. Don’t focus on the obstacles in your way. You may miss important soul mate signs. The universe is a magical place. Follow its lead. It will deliver. The universe will do its work. Believe that it already has. Focus on how you’ll act when you’re in a relationship. What do you want your house to look like? What will you act like? How will you present yourself? How will you feel? Answer these questions to make your answers a reality. It’s important to become who you want to be to create space in your life for someone else. Meditation is proven to reduce stress. Stress is caused by worry. Worry will lower your vibrations and energy. Start this practice by taking ten minutes each day to find a quiet and comfortable space. Sit with your eyes closed. Focus on your breathing. Try to relax. There are several guided meditations online that are based on the Law of Attraction. them. The energy they create is released into the universe. It will give you vital soul mate signs. It’s your job to follow them. The Law of Attraction will lead you in the right direction when your thoughts flow in a positive way. You will start to see signs of change in your life. Apply the Law of Attraction to learn how to find your soul mate. 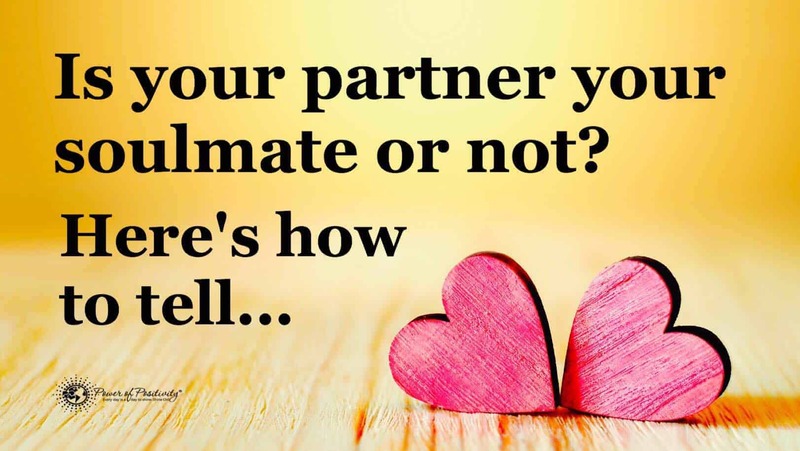 It’s essential to follow these soul mate signs to discover your true love. Experts have proven the truth about the Law of Attraction through their research. These experiments prove we are all energy. It creates our reality. People around the world find love by using this universal law. Remember that love will happen for you. Apply the Law of Attraction to your thoughts and actions. Know that you’re loved. You will find the perfect person. In the meantime, find reasons to be grateful. Remember to focus on what you want. Have faith that the universe will do its work. Love is on its way.